The bedroom makeover is complete! Still need to add a few knick knacks but for the most part it is done and I am just incredibly bad at keeping quiet about things so…….. time to share!!! The pics below are of the walk in robe which is on both sides but you can only see one side here. 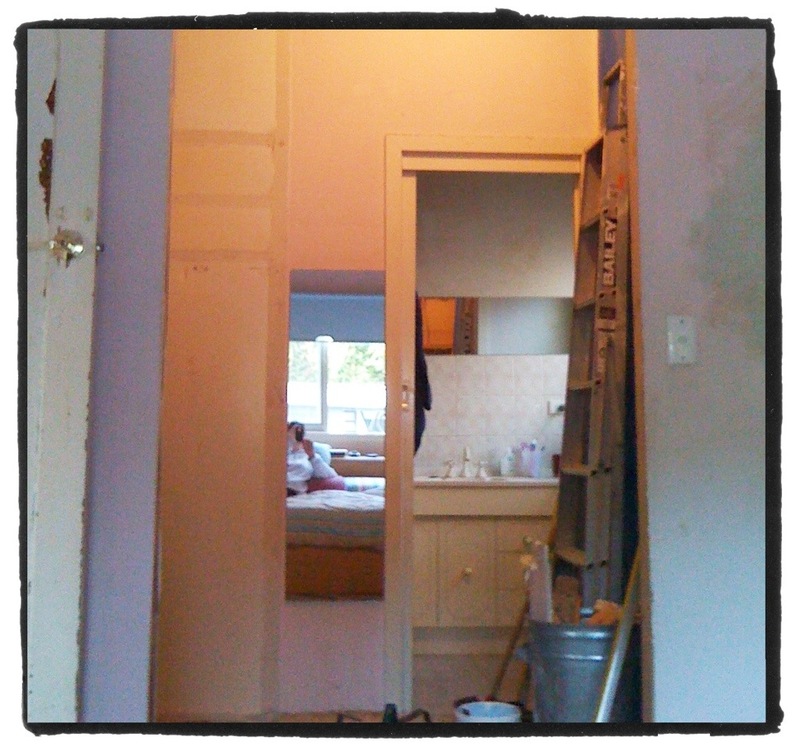 You can also see the beautiful arch which we got rid of, and you might see little old me sitting on the bed opposite the robe area in the mirror reflection. I can’t believe how revolting it all looks now!!! 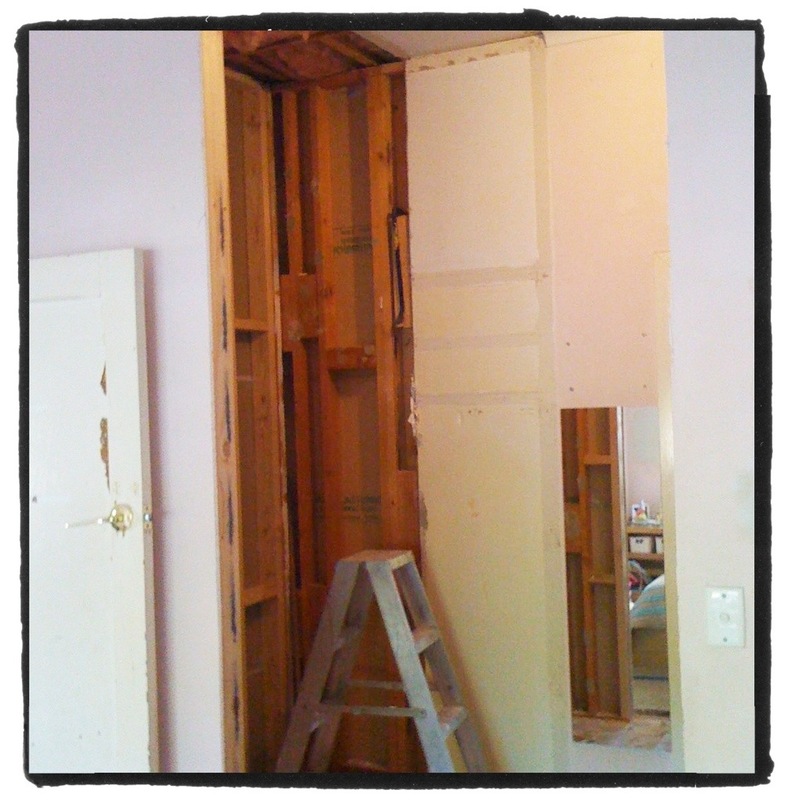 Moving right along…… The following shows the view from the walk in to the bedroom during painting and also after the new carpet was put down. 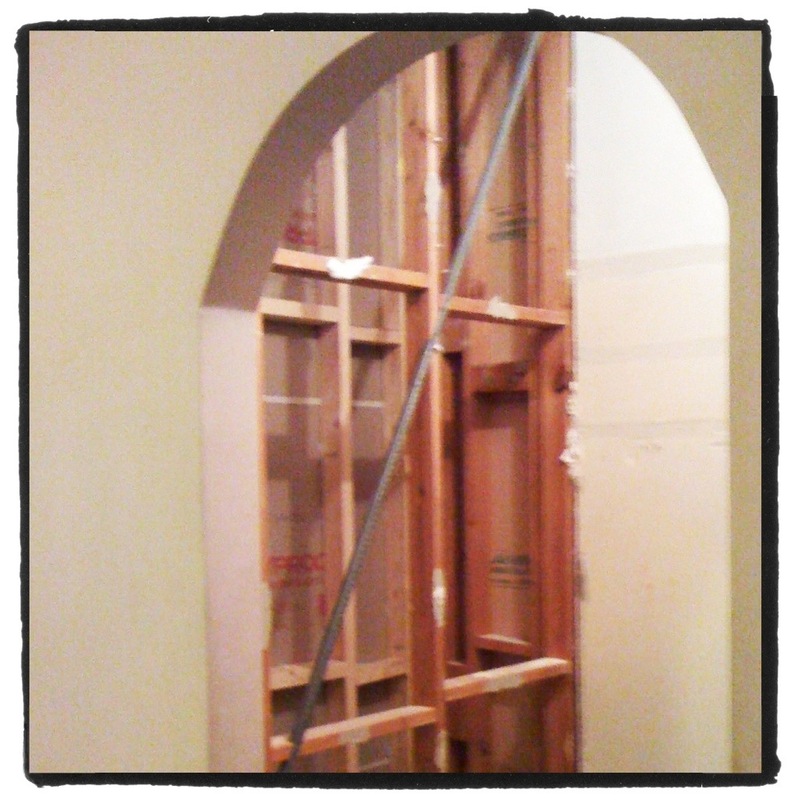 Rather than having built in wardrobes put in which would be expensive, we built our own with units from Ikea. 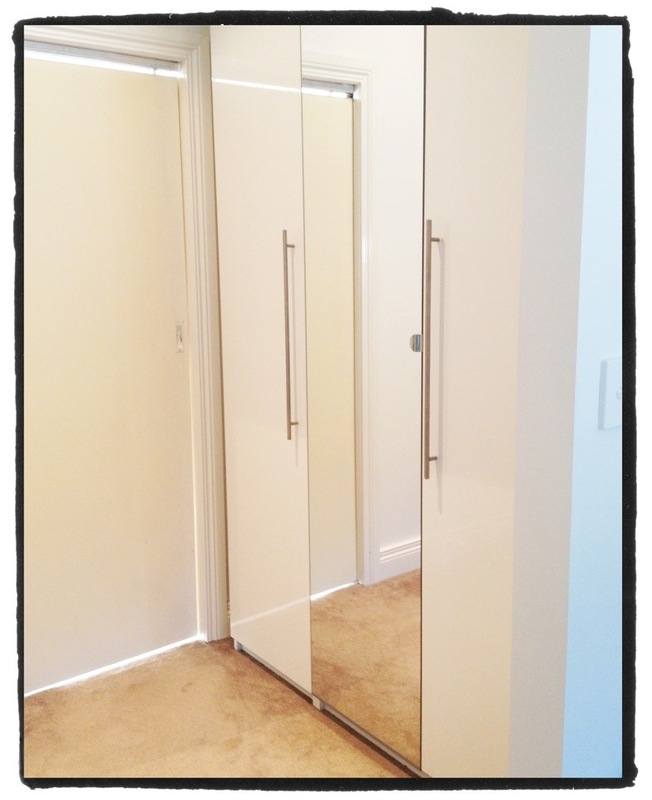 Lovely glossy doors and full length mirror on both sides so you can see if your bum looks big!! 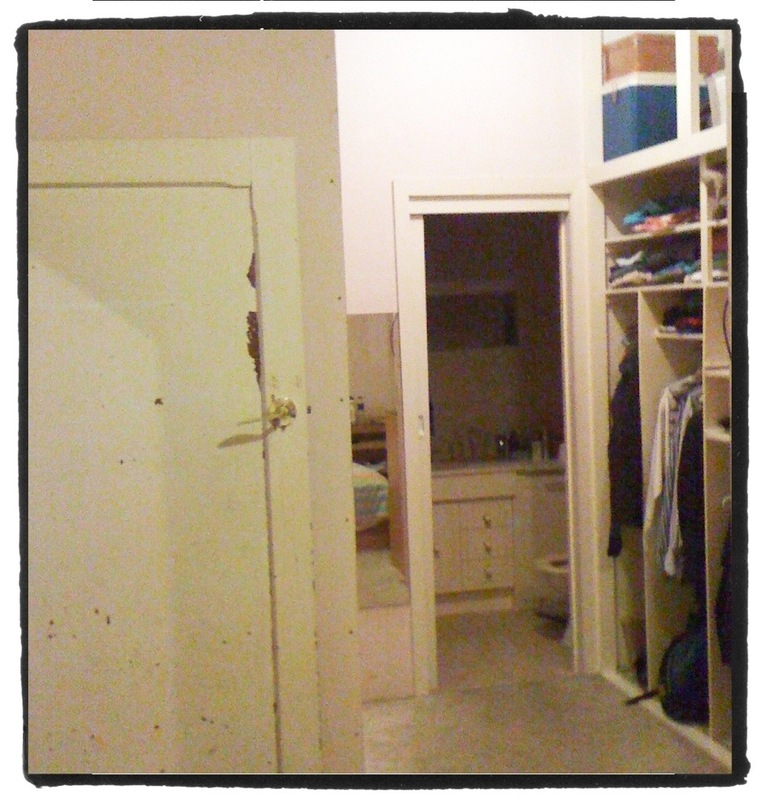 The door you can see is to the en-suite……saving that for another blog! Here is a pic of the old bedroom set up after painting and carpet was done. And now for the new made over bedroom!!!! I really wanted a relaxed, clean, beachy feel to the room. 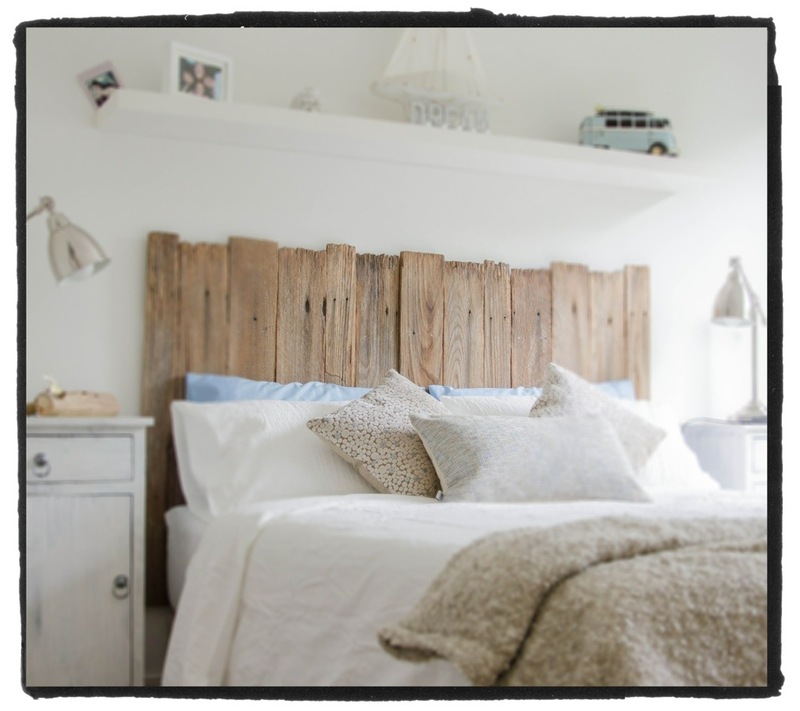 We had a tight budget as you might remember from previous posts, so I made the bed head out of old fence palings and the bedside tables were el cheapo ones that I fixed up to look old! Very pleased with the result!! We moved the bed from under the window to along the wall. So much better this way. No idea why we didn’t do this before. The lamps are from Ikea as is the shelf. Do you get the feeling I like Ikea? Hmmmmm!!! 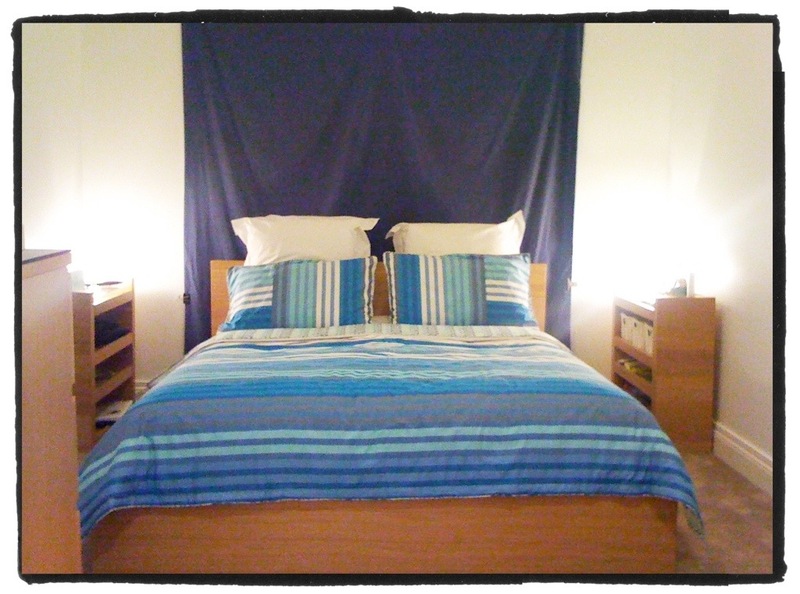 Bed linen is from Ikea and the cushions are from the Temple & Webster site. Over the next few weeks I will add bits & bobs to really finish off the room. The hooks I made with a left over fence paling. Finishes it all off nicely as well as being very practical!! So what do you think? Post a comment and let me know! Categories: House, Make over, Renovation | Permalink. Well a busy day of painting today with real paint!!! 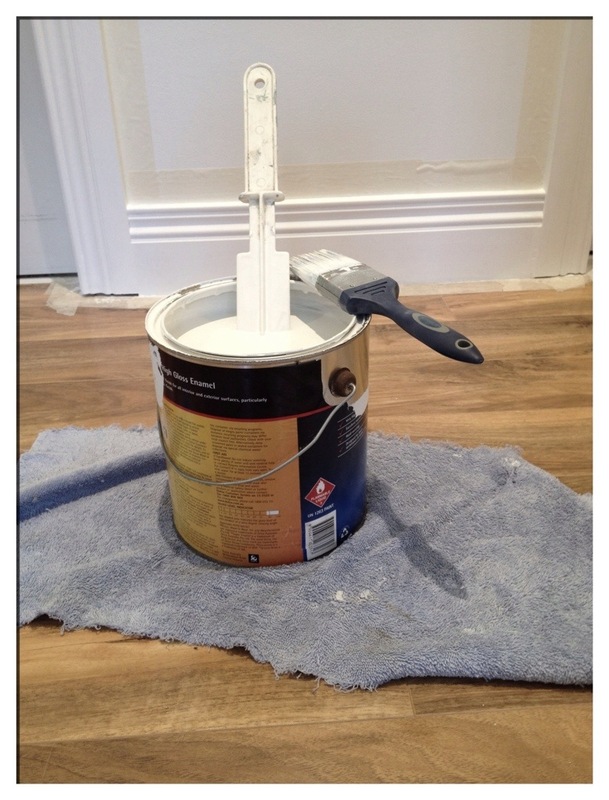 I am doing the skirtings and architraves in the back room and using high gloss enamel paint. 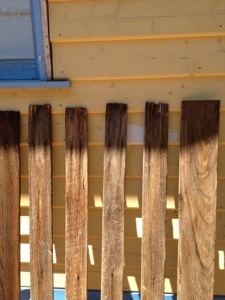 I know it is a bit more effort but the results are by far better than using a gloss water based paint. I find it gives a much glossier mirror like finish and you can’t see the brush strokes once it settles. Definately worth the effort……check out the picture below. This is not wet…..just deliciously glossy!! Next step in the bedroom makeover is to acquire a couple of bedside tables. Easier said than done!! Having a look around there was plenty I saw that I loved, the only problem being the price!! Did I happen to mention that my budget was tight?? 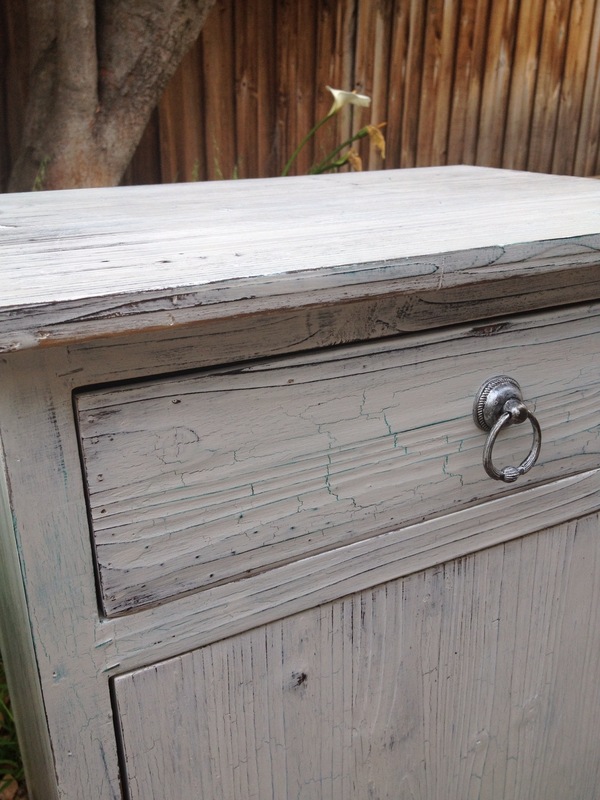 Has anyone recently had a look into the price of bedside tables…..very pricey, at least everything I liked was!! Upwards of $350 and that was just for one, not a pair! 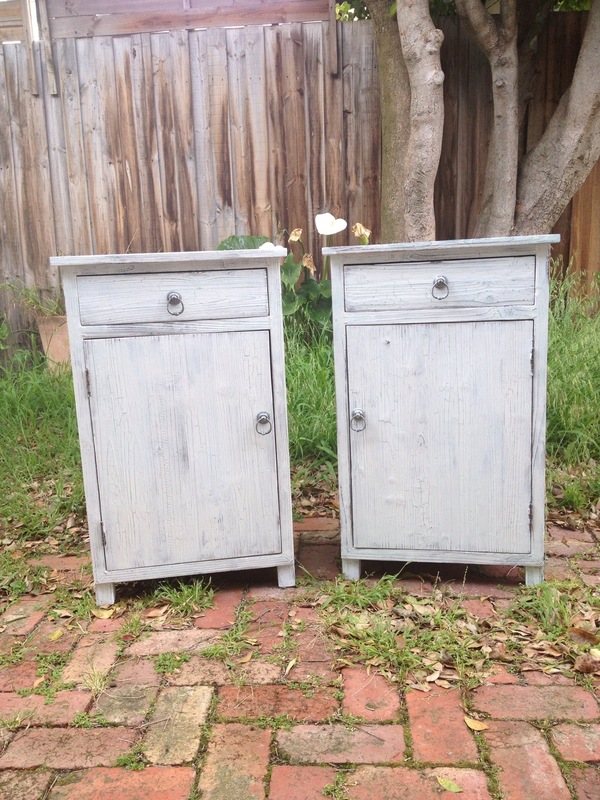 Not to be discouraged, I found a couple of little bedside cupboards in an auction room in Richmond. This auction room was one of those ones that is full to over flowing of stuff and if you look really hard you can find some real treasures at seriously good prices. 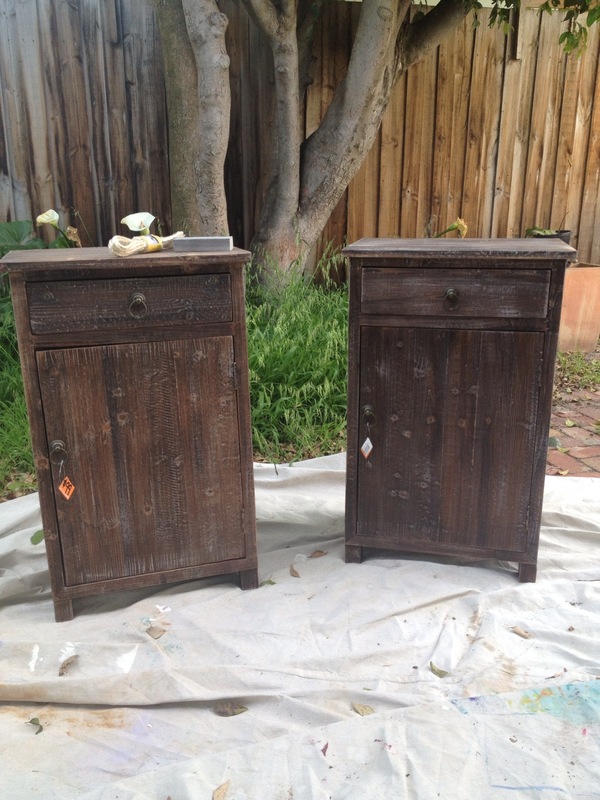 The bedside tables that I found were not one of those treasures, however they were a good price and I knew that I could make them fit with the over all look I was trying to acheive and so here they are……..
Let the makeover begin! 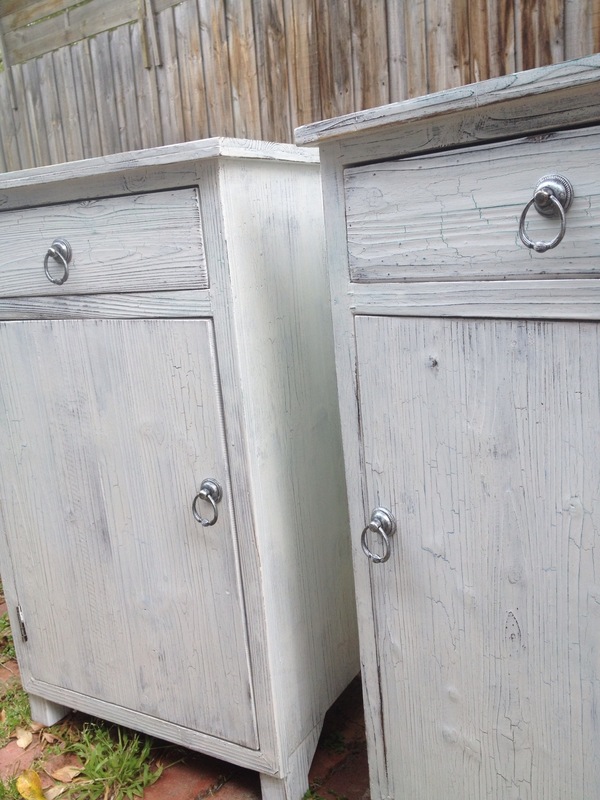 I gave them a bit of a once over with some fine sandpaper and then splodged a couple of colors on them in some strategic spots, the idea being to make it look like they had many layers of old paint on them. (the whole aged thing you know). 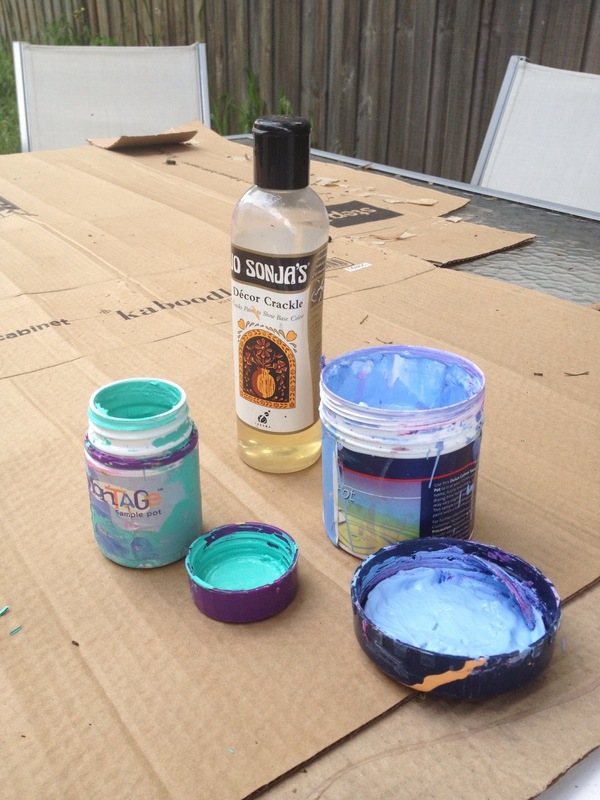 The colors I used were a couple of shades of blue/green that I found in the shed from a previous project. I put them on at the end of the day and just left them to dry. What I found funny is the odd looks I got from “the family” wondering what on earth I was doing with one brave soul saying “what did you put the paint on them for, you should have just left them brown”! I think not!!! 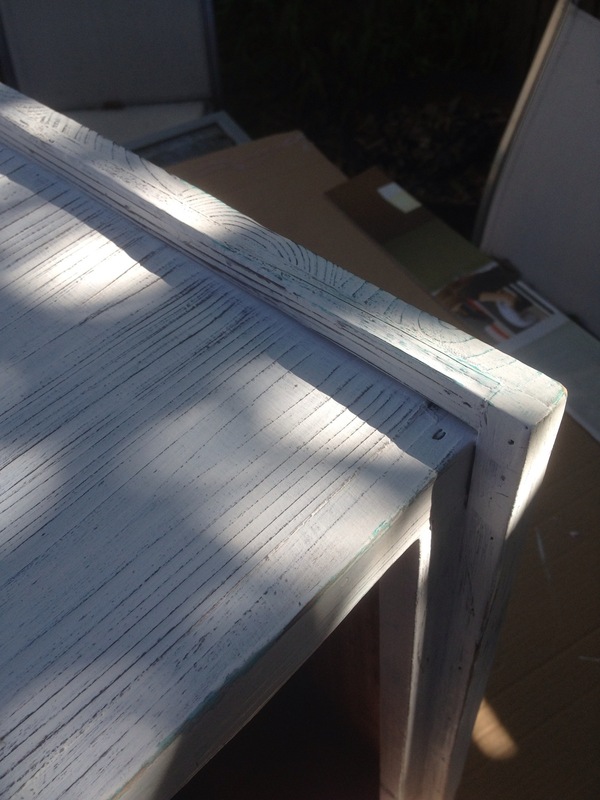 Next day I put some crackle medium over the cabinets. Thicker in some places than others. I wasnt sure if it would work because this particular product has sat in my shed for at least 10 years but it did, so I can highly recommend “jo sonya”! 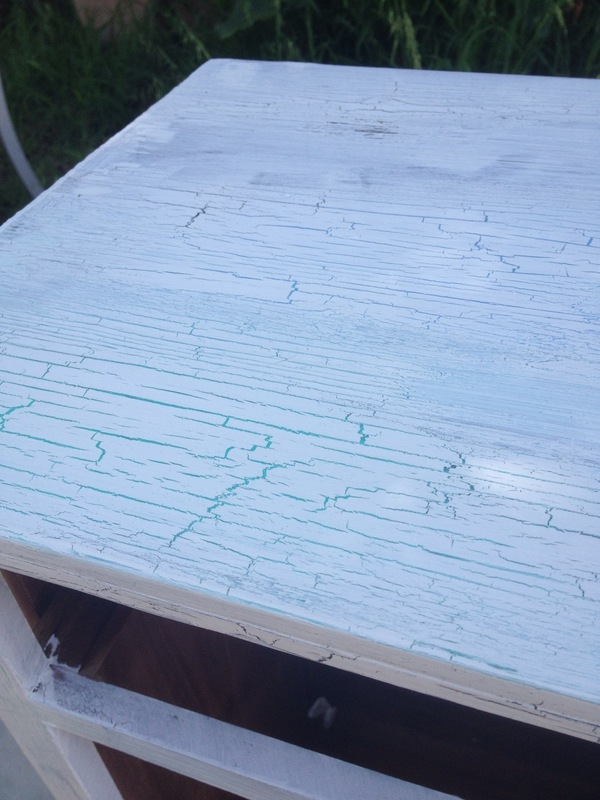 Once the crackle medium had dried I put 2 coats of whte paint over the top. I’m not particularly fussy with my selection of white paint, and in fact I will confess that I just used prep coat (again found in the shed). Once that had dried, the real fun began. 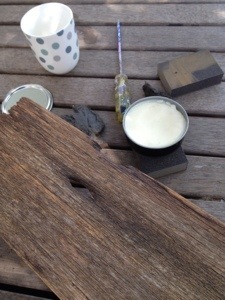 Sanding, sanding, sanding!! A litle here and a lot there to get just the right look I was after. Followed that up with a good polish with some wax and the job was done. I am really happy with how they have come up. If you also notice I changed the door on one of them so it opened in the other direction. Let me know what you think by leaving some coments below. 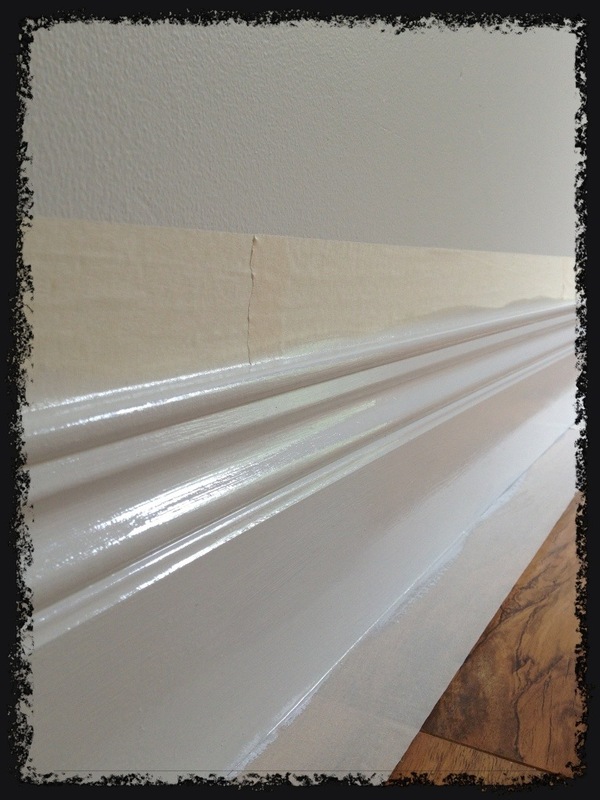 Next job is another little project using some of the left over palings from the bedhead…….. I recently decided that our bedroom needed a makeover and after months of looking around for just the right furniture (that we could afford) I gave up looking and decided to make the furniture myself! 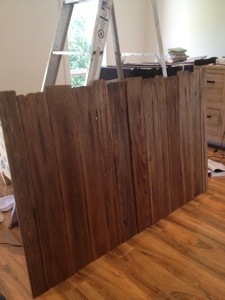 I wanted the room to have a real beachy rustic feel to it and so decided that I would make our bedhead out of old fence palings. A lovely friend had some old palings lying around that she was happy to get rid of so we collected them and they were just perfect for the job. 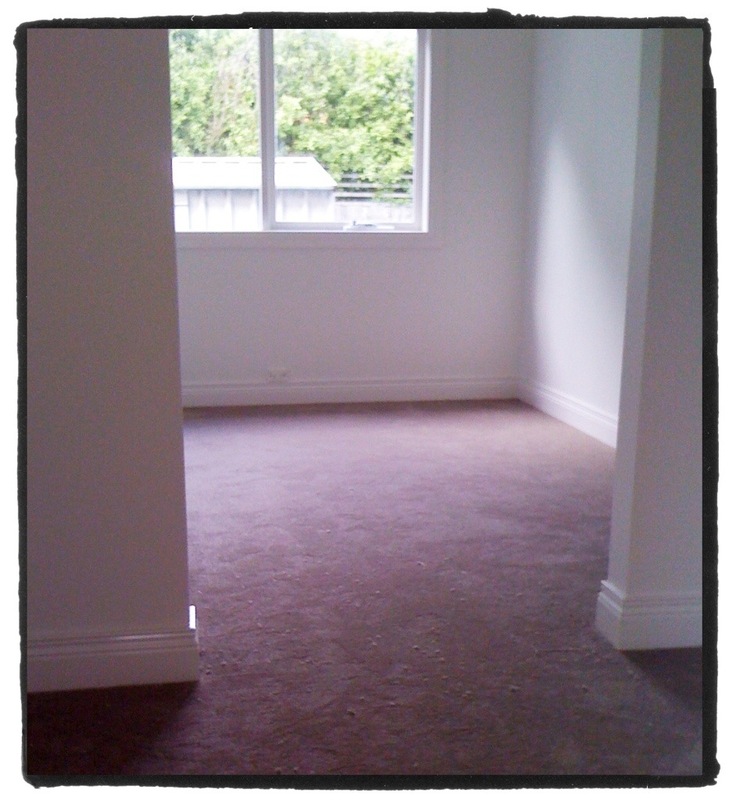 They needed a good clean to get rid of years of dirt, mould, and other beasties that called them home. Once cleaned they really looked amazing. Here is a picture of them all lined up to dry after I washed them. Once they were dry I started sanding them to make sure there were no splinters or bits sticking out that would catch on bedlinen etc. They really started to look good at this stage!! Next job was to give them a bit of a drink to try and restore the timber a little bit so I used a wood restoring wax and then finished them with a bees wax polish. I really had no idea what I was doing when it came to the construction of the bed head but figured that it really didn’t matter as I wanted it to look old and not perfect anyway. 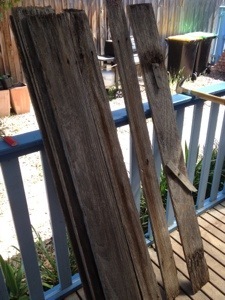 I nailed the palings to a couple of cross beams and there you have it, all ready to be put up on the wall. So that’s the bed done!! Next is the bedside tables which I will post about later when I have more time.